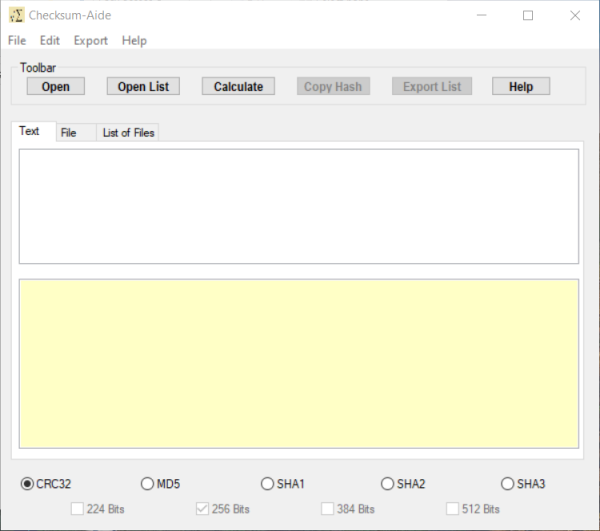 Checksum-Aide is a utility used to generate hash codes (or checksum codes). You can use this tool to verify that a program you downloaded from the internet has not been corrupted or tampered with.If you are a developer, you can use this tool to generate your own hash codes so that your user can confirm the authenticity of your software.Checksum-Aide can generate up to 11 different hash codes (including SHA-256). You can use it to get the hash code for a block of text or you can calculate the hash code for a file on your computer. You can also calculate the hash codes for multiple files at one time. A stealth chat logger that will capture keystrokes and record computer activity. This software for pc usage monitoring will allow you to see what has been typed within an email, chat, and IM. It will provide screenshots for you at a timed interval. Emsa Advanced Port Blocker is an Internet port blocking utility, connection viewer, TCP monitor and logger. It monitors and selectively blocks access to local ports or remote ports/IP addresses based on user configuration. Lightweight, easy to use.